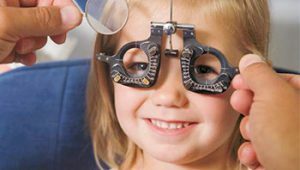 According to Smith on the matter of pupil size normal and assessment, papillary assessment is an important part of neurological assessment because the changes in size, equality and reactivity of pupils can shows vital diagnostic information of the patient. 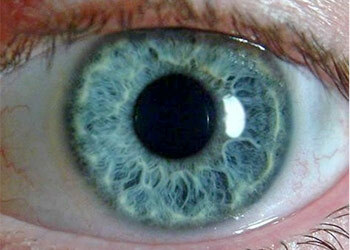 Pupil is the black hole part of the eyes in the centre of the iris. 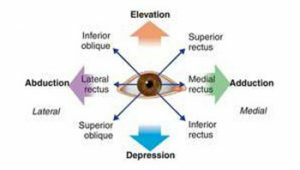 The relaxation and contraction of the muscles will make the iris dilate (in darkness) or constrict (in bright light). Based on Bersten et al, 2003, the average size of pupils ranges from 2 mm to 5 mm. On the additional point, the pupils should be equal in size. For the shape, a normal pupil should be round. The presence of abnormal size could indicate a cerebral damage, while when the pupil has oval shape, it means that the patient might has intracranial hypertension. Both shape of the pupil should be identical. 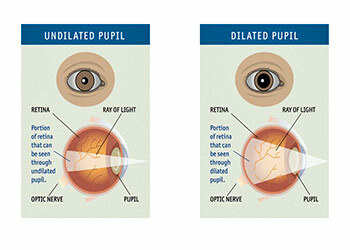 A procedure of testing the pupil could done by observing the pupil after giving a bright light. The reaction should be brisk. After the light removed the pupil size should return to its original size. On abnormal pupil, there might be non-reactive pupil that caused by expanding mass. The abnormality of pupil size could show an indication of several diseases. 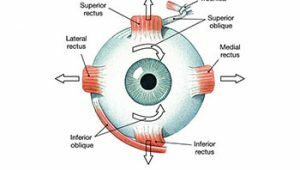 Some eye parts that can be used for the purpose are the iris, optic nerve and visual pathway. Here is some pupil condition that can be used to examine patients’ condition. When a patient has a condition of such pupil, it can be identified that the patient has a damage on the III nerve compression. There is a probability of the patient to suffer from hematoma. The irregular shape of patients’ pupil could indicate that there was an orbital trauma experienced by them in the past. The abnormality of gaze means that there was disturbance on the frontal lobe of the patients. If the patients’ pupil appeared to be very small it could indicate the presence of injury as the result from consuming opiate. People with normal pupil will show 2 mm until 4 mm size in the bright light, while in the dark the size will turns to 4 mm until 8 mm. Generally, pupils are equal in size for Perrla eyes. 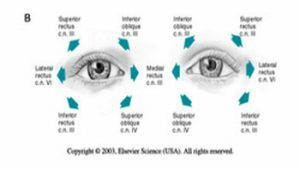 Pupils tend to constrict when there is a direct illumination or direct response. Other reason that causes the pupil to constrict is when the eye focused on a near object. This response is called an accommodative response. On the other hand, pupils will dilate when you are in a dark place. 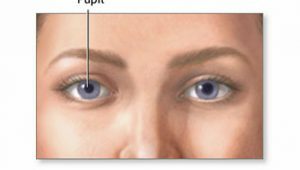 When pupils do not constrict or dilates in the previous condition, it can be assumed that there is an abnormality on the pupil. Other important thing about the pupil size normal and assessment is that it can decrease according to age due to senile miosis.